Who loves train rides more than kids? The Tri Rail is a fun way to spend the day with the family. The kids think it’s a grand adventure and I promise everyone will sleep well that night! Tri Rail stations have a free convenient park and ride parking lots at each of the stations. We usually go from Cypress Creek station and parking is always abundant. There are so many destinations to choose from too! 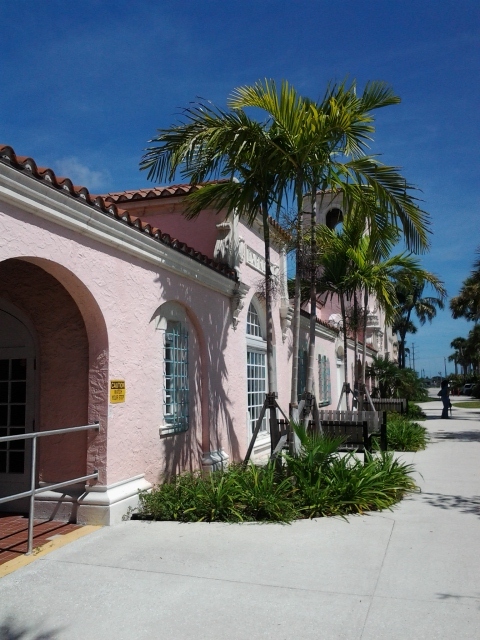 Here are some ideas to help you plan your very own Tri Rail Adventure! Tri-Rail’s Fort Lauderdale/Hollywood Int’l Airport Station in Dania Beach has two easy and fun destinations. Bass Pro Shops offer family days and activities throughout the year. At Christmas they have a fabulous Santa Land. Taking the train at Christmas time is great because you won’t have to sweat to death while waiting on the platform or taking the short walk from the station to the store. The other great destination for this station is the IGFA Fishing Hall of Fame and Museum. We don’t even fish and we found it to be a fabulous way to spend the afternoon. Check out our full review here. I am going to add a few more destinations in West Palm Beach very soon! This entry was posted in Events and Reviews, Florida, Random Stuff I Like, Summer Picks, Uncategorized and tagged Bass Pro Shops, Fishing Hall of Fame, IGFA, Train Rides, Tri Rail Trip by Cynthia Buckley. Bookmark the permalink.